Blueberries and acai powder equals heaven on earth. 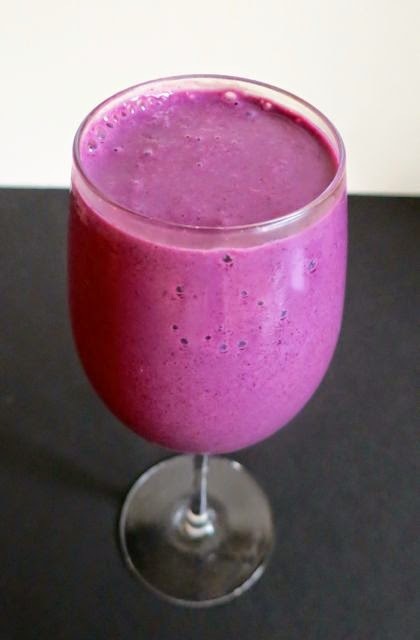 This smoothie from 365 Vegan Smoothies by Kathy Patalsky is bursting with blueberry flavor and vanilla love! 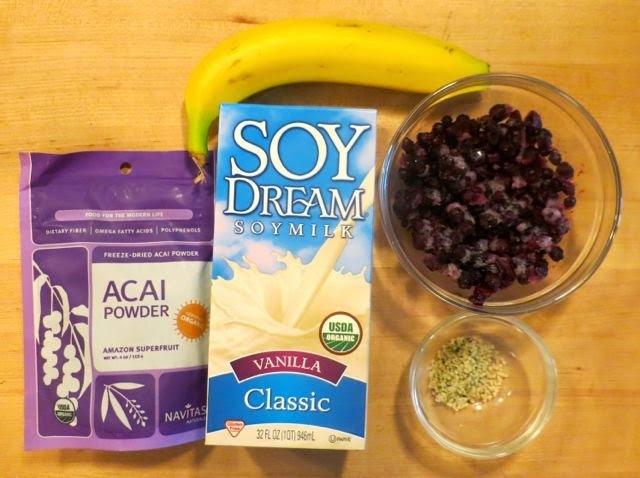 Fluffy hemp seeds add protein and acai powder adds antioxidant power to recharge your body. It's a great way to start the day or a great healthy snack for the middle of the day. Combine hemp seeds and soy milk in a blender and blend from low to high until smooth. Add the remaining ingredients and blend from low to high until frosty smooth (or just use the smoothie setting on your Vitamix).